InflaCor. 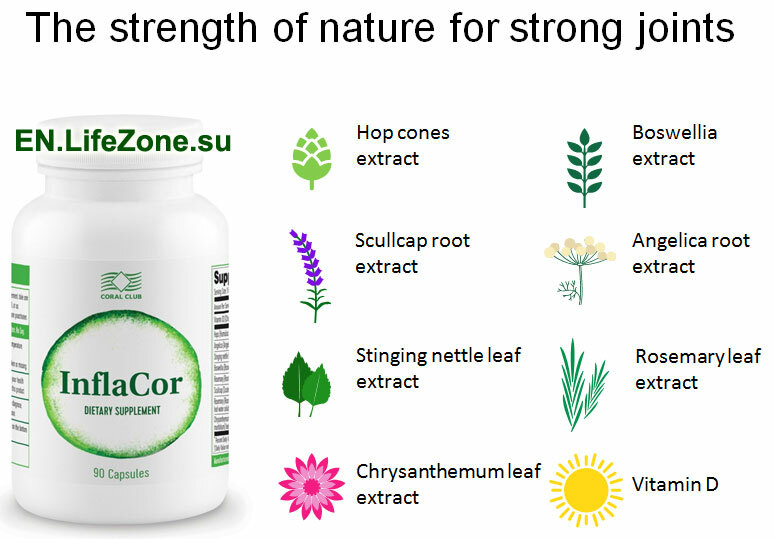 The strength of nature for strong joints. Health of the musculoskeletal system and reduces inflammation of bones, cartilage, and connective tissues | Health. Beauty. Success. Have you ever thought about the fact that most of the myths and legends of the past are about plants and herbs? Let’s remember some of them. Hop is often mentioned in literature about magic. For a long time hop was used in making incenses and as one of the ingredients in a scented sachet. Often, people added hop into their pillows to help induce sleep. A herbal infusion of hop cones helps to improve appetite and digestion. A decoction of hop cones has many positive effects on the body, for example, soothing, analgesic, and anti-inflammatory effects; it also has mild sedative and laxative properties. Thus, this very handy brew can be used in many different potions. Furthermore, hop is considered to be a plant of the gamblers and adventurers. It can help during a game, but doesn’t like violence (can turn the luck against the person), so it should be used carefully as a talisman or a charm. Hops also helps against the evil eye, to protect yourself from that you should fill your shoes with hop cones. Hop is widely used in love magic, to reverse jinxes and to protect yourself. It turns out that this plant has been known in Russia since the days of idolatry. According to the legends of the ancient Rus, hop is a symbol of fertility, health and strength. During the harvest, farmers worshipped the pagan god Jarilo, they brewed intoxicating drinks for celebrations in order to appease the god. In the belief that it will make the union lasting, people used to throw hops at newlyweds. One of the biggest hop plantations in the world is in Bavaria (Germany). World production of hop (70%) are concentrated in the United States, Germany, the Czech Republic, Poland and China. Rosemary has been the subject of myths and legends throughout its long history of use. Let’s start with the name itself. Legend has it that rosemary is a corrupted version of the lat. Ros marinus, or sea dew, at least that’s what Pliny the Elder’s free-wheeling hand wrote—that rosemary flowers are of such an attractive color because when sea foam fell upon them, it turned them blue; the plant, after all is most often encountered around the shores of the western Mediterranean. As another example of rosemary’s legendary status, Shakespeare’s legacy includes Scene 5, Act 4 of Hamlet, during Ophelia’s crazed monologue as she’s breaking her bouquet apart for those gathered. The associations that would have arisen from each individual flower among theatergoers in the 16th century were very specific and helped to better elucidate the personalities of the characters in the play. Blooming with symbolism, Ophelia’s bouquet had lost much of its meaning by the 19th century, and even more so to our contemporaries, even if they are literature buffs. The meanings behind the flowers drove the characters toward the main conflict of the act. [Removed Russian reference.] It is not easy to really understand that plot point, without going back to the source—ancient perceptions of rosemary as improving the memory, vital functions, the heart and the mind were still in place in Shakespeare’s time. At that time bridal bouquets began to include rosemary, symbolizing steadfast loyalty, strengthening love and commitment. On the other hand, rosemary was in demand not only in wedding ceremonies but as part of funerals and religious ceremonies to honor the memory of the dead. Thus, using the Medieval Language of flowers, Ophelia offers rosemary to her brother to lift his spirits and remind him of his father. Perfumers also have their legends about rosemary. The Queen of Hungary’s Water, which contains distillate from rosemary flowers and tops was considered the earliest youth and beauty serum. The Queen of Hungary’s Water is considered one of the first alcohol-based distillates the creation of which is dated by historians to the late 14th century. 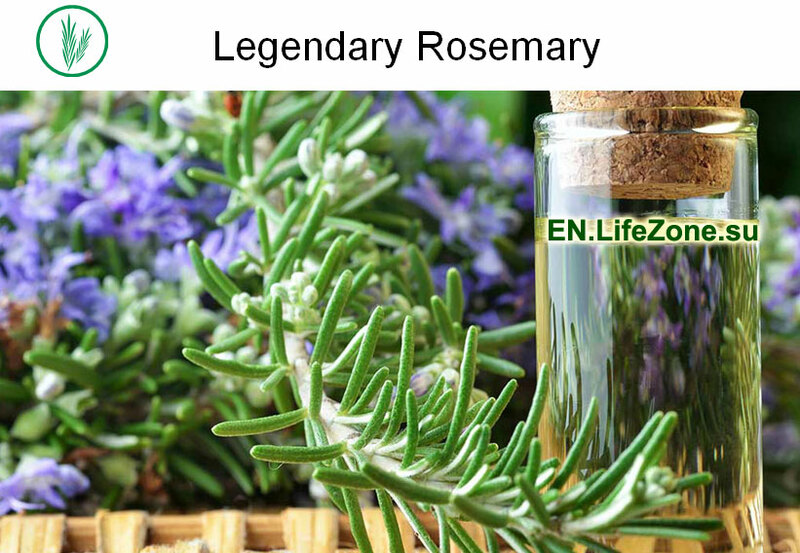 The legendary rosemary water was created as a medicine against gout and rheumatism, conditions from which the elderly Queen Elisabeth of Hungary suffered. The beautiful legend tells of how the miraculous youth-restoring formula exceeded all expectations, drawing the attention of Ninon de l’Enclos, and her beauty and youthful vitality entranced men despite her age of 72, resulting in the king of Poland offering his hand to her in marriage. Did the Queen of Hungary herself really invent of the recipe or was it someone else—the Angel of the Lord, roving gypsies or a hermit—the perfume of that name is still available today, and over the centuries has taken on additional aromas—mint, orange flowers and rose water. It is thought that the two very similar species of Wild celery, Wild angelica (Angelica silvestris) and the medicinal variety (Angelica officinalis Hoffm.) spread across Europe along with the Vikings in the Early Middle Ages, preferring the warmth and sunline sunshine of central and southern Europe to the frigid northern wilds. Wild angelica turned out to prefer damp shady places, along the banks of wooded brooks and streams, in thickets garden meadows and among bushes. Like an effeminate palm tree, the medicinal variety of wild celery likes keeping its toes in the water and its head in the sun. Under favourable conditions and a temperate climate, they both grow up to two meters in height, scattering winged seeds all around them. Angelica officinalis Hoffm. or Angelica archangelica L. is part of the pharmacopeia of many countries and its roots and seeds provide valuable essential oils. In medieval Europe, wild celery was considered a reliable remedy for many illnesses and likely the single most important medicine used against the plague, which at one point was running rampant across the whole continent. The plant is also worthy of praise thanks to its esteemed status in the old French town of Niort, the center of the Deux Sèvres Department and the Charente Maritime. 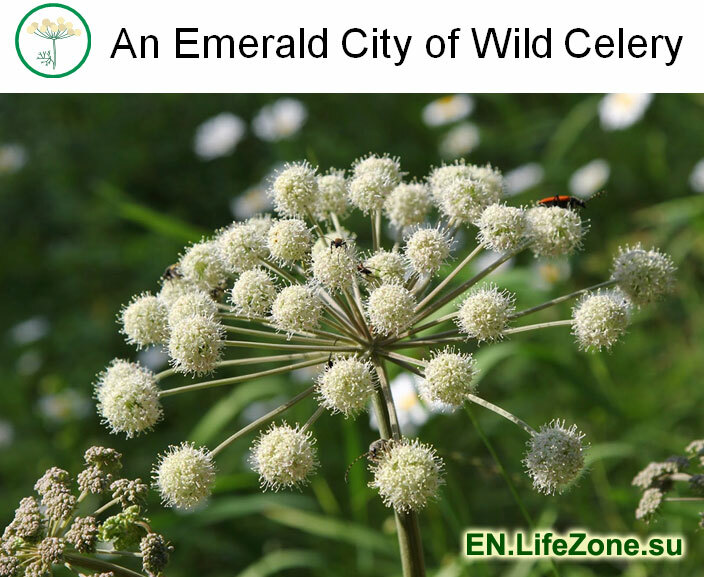 It is a veritable emerald city, according to Legend, boiling wild celery roots in vinegar was a cure used in the city against the plague in 1430, and it saved the city from being completely decimated. It also helped residents to carry the roots in sacks around their necks as an antidote and as talismans against evil spells. As scientific medicine revealed far later, wild celery, although not magical, still has real medicinal properties. On Saint George Day in the past, little girls used to strike the legs of young unmarried women with nettle, so they would get married before the end of the year. On the same day, the nettle was placed on top of the wood burning stove in order to ensure that the fire in it will never die and that the house will never be empty. On the day before the Whit Monday, prior to swimming, people threw nettle in the river to protect themselves from mermaids. Even Avicenna, a great Persian scientist (980-1037 AD) mentioned nettle in his work. If there is a child in your family, place several nettle leaves in the corner of his/her room. It will keep nightmares at bay, help your child to sleep better and get sick less. Healers and “white” wizards have long used the nettle to get rid of evil eye on babies. If a pregnant woman eats even one nettle leaf, her baby will be full of mischief. However, it was not a problem. At least that is what our ancestors believed, because they beat naughty children with the same nettle. It was believed that if a child is too disobedient – it is possessed by a demon, and nettle can help exorcise it. It was also believed that nettle reveals the energy potential in a person, helps to form a protection around its owner, so that he will be safe from lightning, death on the battlefield and full of strength and bravery. It also gives the gift of foresight. And if you place some nettle under the insoles of your shoes, demons will never take you to hell. Chrysanthemum. According to an ancient Chinese legend, about 3,000 years ago, an emperor was told that one Island in the Sunrise Sea (Japan) had a magic herb that would restore his youth. But since only youth could collect it, he sent three hundred young men and women to the island. It is unknown whether they found the magic herb or not, no one returned from the island. The emperor died and the young people founded a new state – Japan. 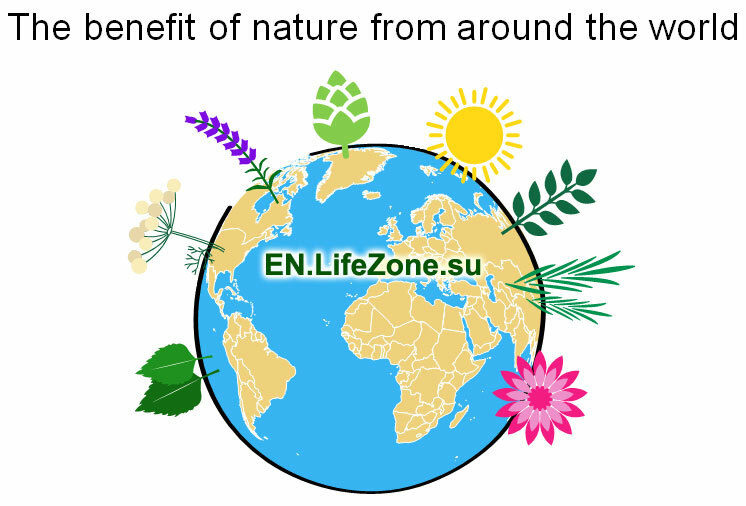 We collected the benefits of nature from all around the world, but they are not just plants that we offer, we offer a complex that consists of plant extracts – a solid-liquid that is removed from the tissue of a plant, where the content of biologically active substances is higher than in the root or stem. 1. Common hop (Humulus lupulus) is an herbaceous climbing plant in the mulberry family (Moraceae). Health benefit of the plant’s active substances: cones produced by the female hop plants are considered the most valuable part. 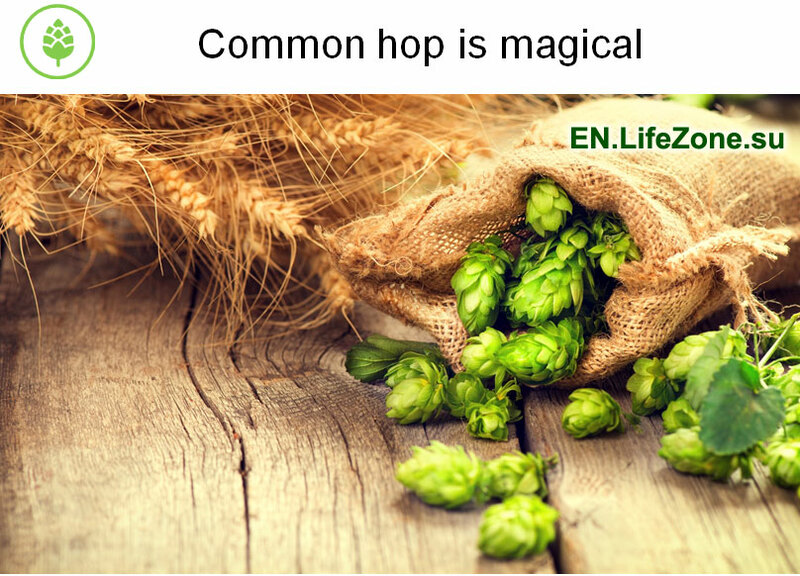 There are resin glands on the scales of hop cones that are the main source of the essential oils and hop’s main active ingredients: lupulin, humulene, cubebene and caryophyllene. All of them are very important for regeneration of the muscle tissue and decrease of the inflammation processes in muscles. 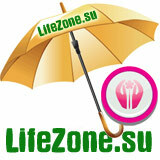 Essential oils are famous for reducing joint and muscle pain. The limulin and humulene have the strongest pain-killing effect; they reduce muscle tension and cramps. 2. Boswellia serrata, also known as the Indian version of frankincense – is a plant from the Burseraceae family. It grows in India, East side of Africa and the Arab Peninsula. Ayurveda, the system of medicine from India, uses boswellia to aid in treatment of rheumatic and inflammatory lesions of joints, muscle pain, nerve disorders and respiratory diseases. 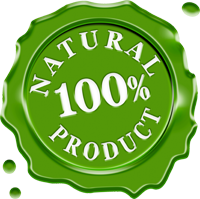 Health benefit of the plant’s active substances: boswellia is valued for the fragrant resins and famous boswellic acids. Because of these acids, Indians call boswellia a “fighter of inflammations”. Boswellic acids are a series of pentacyclic triterpene molecules. They block biosynthesis of the leukotriene – hormone-like molecules that cause inflammation in the joints and periarticular tissues. Boswellic acids prevent leukocytes from entering the cartilage and synovial fluid, and help to reduce inflammation. These acids are valued for their strengthening effect on the cartilage structure and bone tissue. They help to slow down the synthesis of enzymes (cyclooxygenase and lipoxygenase) that destroy cartilage, reduce the amount of structural components of the cartilage tissue that leave our body with urine, like hydroxyproline, hexosamines and uronic acid. Consequently, boswellic acids prevent the destruction of the cartilage, improve blood circulation in the muscle, and thus, delivery of nutrients to the site of injury. They help to reduce the pain and swelling, and ultimately maintain the healthy state of joints, cartilage and muscles. 3. Scullcap (Scutellaria baicalensis). Scullcap root is very popular in traditional Chinese, Tibetan and eastern Russian medicine, because of its complex of healthy components. Health benefit of the plant’s active substances: main active substances of the skullcap are flavonoids (baicalin, apigenin, luteolin, scutellarin and carthamidin), tannins, essential oils, alkaloids, resins, coumarins. Due to all these substances skullcap plant is considered to be very useful for the joints and muscle tissue. It helps to reduce pain, muscle tension and swelling of the joints. It is recommended as a restorative component during high physical loads on the joints. There are high quantity of minerals in the plant (calcium, magnesium, manganese, cobalt, molybdenum), which together with the flavonoids help to strengthen bone and muscle tissue. 4. Rosemary is an herb that is widely used as a remedy in medicine and as an aromatic spice in cooking. It is native to Italy, France, Montenegro other Mediterranean regions where they call it “sea dew”, because he herb grows wild on dry, rocky slopes near the sea. The first description of the rosemary’s properties and its usage for rheumatism and neuralgic pains can be found in the Herbal by Richard Banckes that was printed in England in 1525. Health benefit of the plant’s active substances: there is a wide range of health benefits of the rosemary in modern pharmacopeias, due to a large quantity of biologically active vitally important substances, including antioxidants – phenolic acids, flavonoids and polyphenols, carnosic and rosmarinic acids. Carnosic and rosmarinic acids are necessary to support the muscle tone. Through the skin, they enter the bone and muscle tissue and prevent inflammation processes. Rosmarinic acid helps to prevent the adhesion of platelets in the blood and creation of vein thrombosis. It helps to reduce muscle tension and relieve pain. Different research has shown that the antioxidant activity of carnosic acid is twice higher than that of green tea polyphenols, tocopherols (vitamin E) and vitamin C. Carnosic acid helps blocking the effect of free radicals, which can damage the muscle tissue. In addition, by interacting with vitamin D3, carnosic acid maintains a solid structure of joints and cartilage and protects muscles. 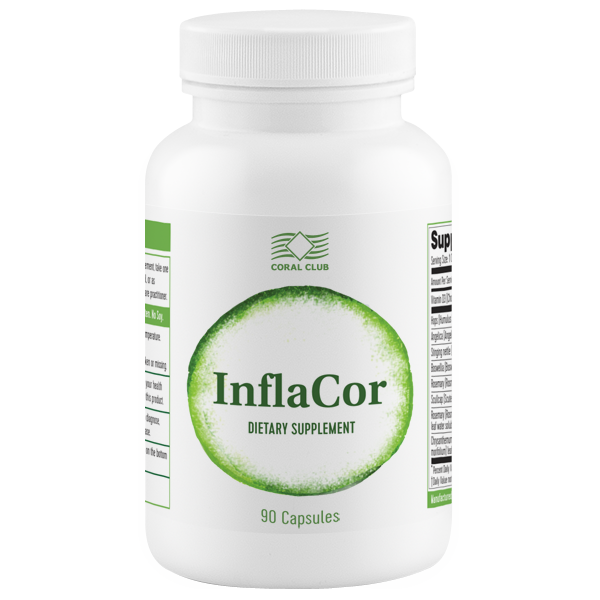 Inflacor consists of two types of rosemary extracts: the oil-soluble extract is rich in carnosic acid, while water-soluble extract contains more rosemary acid. 5. Angelica officinalis (Common) is a valuable melliferous and medicinal plant. According to the myth, angelica begins to blossom –on the Day of St. Michael the Archangel. Hence its name – Angelica archangelica, from Lat. “arkhangelos”- archangel. In ancient Rus’ it was believed that Angelica gives strength and helps the person to get better soon. Health benefit of the plant’s active substances: angelica root contains many useful substances: essential oils, terpenes, coumarins, flavonoids, phytosterols, saponins, polysaccharides. 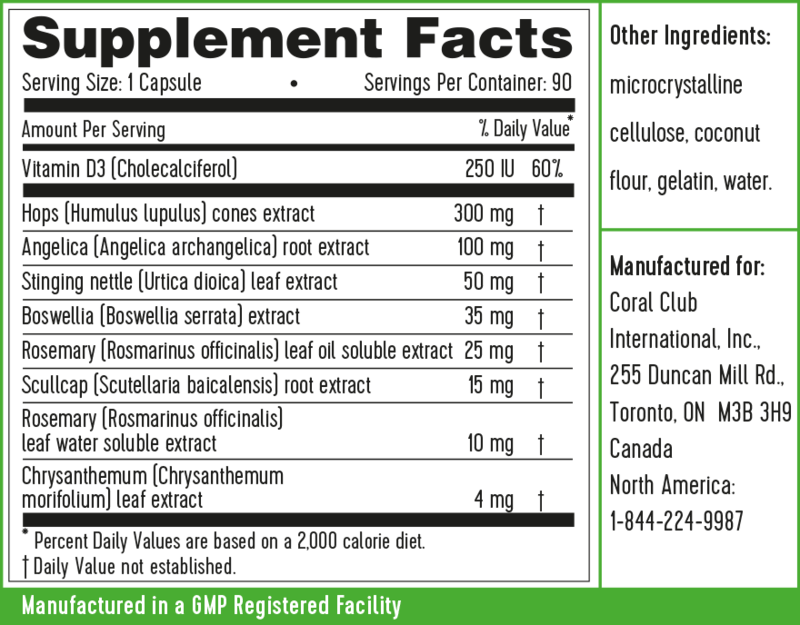 It also rich in essential amino acids – methionine, lysine, threonine, valine, isoleucine, leucine, and phenylalanine. Such set of bioactive substances makes angelica necessary component for maintaining healthy joints, recovery of muscle tissue and neuromuscular relaxation. In 1971, a Japanese scientist Koichi Tanaka conducted a study of the properties of angelica, during which he proved that the effectiveness of this plant is 1.7 times higher than aspirin for muscle aches. 6. Common Nettle (lat. 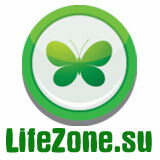 Urtiса dioica) is a herb that is widely used in medicine, cosmetics and even cooking. 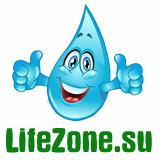 Health benefit of the plant’s active substances: Nettle is considered a very health-beneficial plant. Its leaves contain flavonoids, minerals, chlorophyll, tannins, glycoside urtitsin, organic acids, vitamins B, C, and K.
Thanks to chlorophyll, nettle is recognized as one of the best components that contribute to the restoration of osteochondral and muscle tissue. Nettle contains organic acids (formic and malic) that inhibit the production of arachidonic acid, leukotrienes and prostaglandins in the body, which cause inflammation in joints and muscles. Furthermore, nettle contains flavonoids (isorhamnetin and quercetine) that support the health of blood vessels, and minerals (silica, calcium, phosphorus, molybdenum), necessary to strengthen the structure of joints and cartilage. 7. 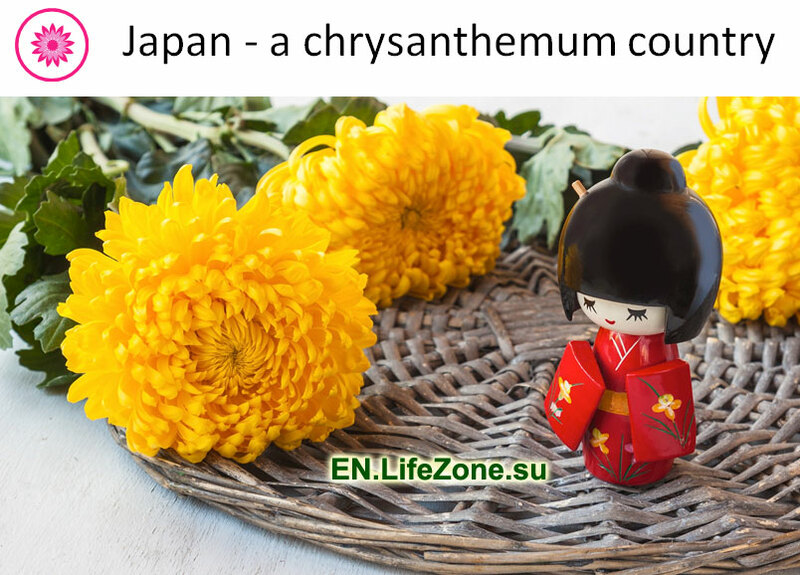 Chrysanthemum got its name from the Greek words chrysos (gold) and anthemon (flower). The first description of chrysanthemums as a garden ornamental plant could be found in works of ancient Chinese philosopher Confucius. Chrysanthemums were cultivated in China 2,500 years ago. This plant is important to the Japanese culture too. It is depicted on the coat of arms of Japan and is considered an imperial solar plant: the Chrysanthemum, or Kiku in Japanese, is a symbol that represents longevity and rejuvenation. Health benefit of the plant’s active substances: Chrysanthemum flowers contain valuable flavonoids (luteolin, apigenin, rutin, diosmetin) and phenolic acids (chlorogenic and ferulic). Chlorogenic acid is a natural antioxidant and is important for the protection of muscle tissue from damage by free radicals. It helps muscles to recover after stress or injury and reduces inflammation. 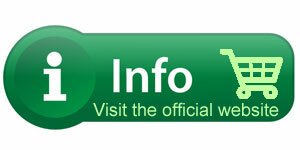 In combination with flavonoids, chlorogenic acid helps to improve muscle blood flow and soothes damaged tissue. The chrysanthemum also contains vitamins E, C, A, minerals potassium, magnesium, phosphorus, polysaccharides and amino acids necessary for the nutrition and restoration of the structure of muscles and joints. 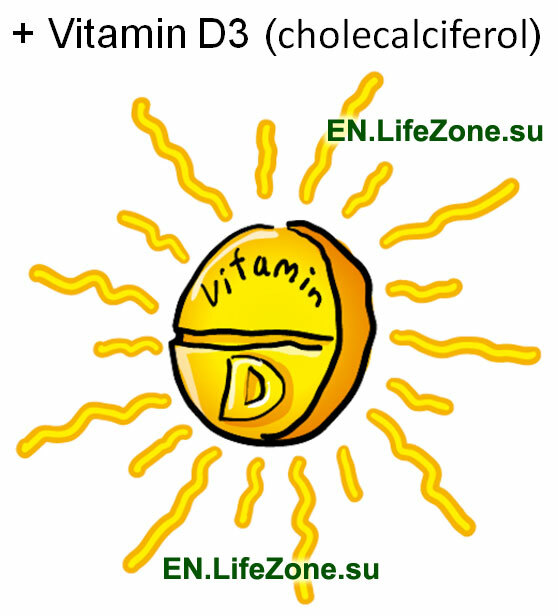 Vitamin D3 (cholecalciferol) is the most bioactive form of vitamin D.
Food sources of vitamin D: majority of vitamin D is found in animal foods: liver, egg yolk, butter, cheese, fish oil, caviar. Synthesis in the body: synthesis of vitamin D (specifically cholecalciferol) in the skin is the major natural source of the vitamin. 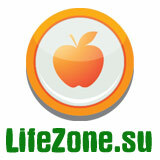 At the same time, some people are deficient in this vitamin, which puts them at risk. With age, the production of the Vitamin D slows down, especially for those, who spend most of their time at home and rarely in the sun. The risk group also includes people living on the Far North, the Scandinavian peninsula, and all the inhabitants of the countries with a long and gloomy winter. Due to lack of sunlight, the body produces very little of vitamin D, so the arthritis and osteoporosis are frequently seen in the population of the northern regions. Vitamin D deficiency may impair bone mineralization, calcium excretion from growing bones and result in their gradual softening and fragility. In addition, the shortage of vitamin D3 may occur muscle weakness and muscle atrophy (tissue destruction). In the body, vitamin D is absorbed (60-90%) in the small intestine. The main function of Vitamin D is to ensure normal growth and development of bones. Together with plant extracts, Vitamin D promotes proper nutrition and helps to increase the strength of joints and cartilage. Vitamin D3 maintains the desired level of calcium in the blood. It is involved in maintaining the strength of the skeleton, bone and teeth. By regulating mineral metabolism and promoting the deposition of calcium in bone tissue, vitamin D3 prevents softening of the bones. If intake of calcium has not been sufficient, D3 brings some of calcium from bones into the blood to maintain the balance of calcium in the body. 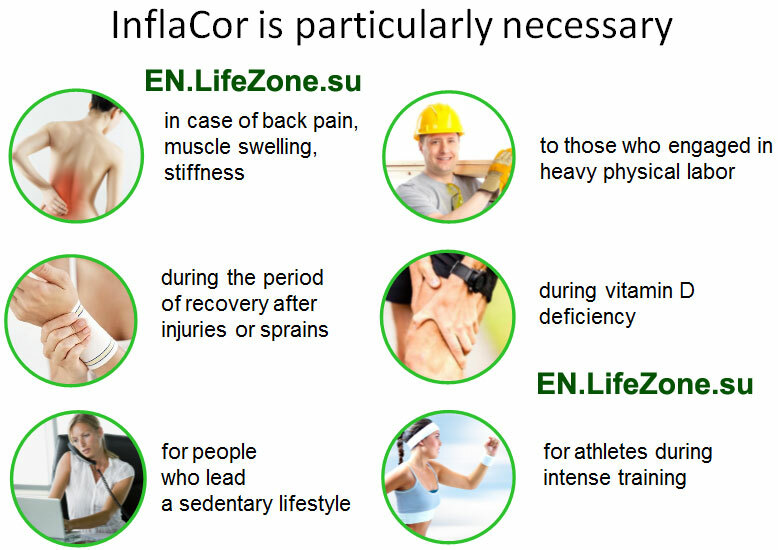 InflaCor contains extracts from different plant components, which together with vitamin D play an important role in the recovery and the normal functioning of joints and muscle tissue. helps to reduce swelling and stiffness of muscles and joints. protects muscles during active exercises.